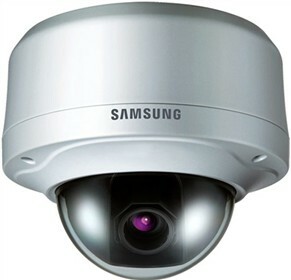 The Samsung SNV-5080 High-Resolution Vandal-resistant Dome Camera with 1/3" PS CMOS image sensor and built-in 3.6x varifocal lens Featuring SSDR, this camera balances the overall brightness by illuminating the darker areas to the same ratio as the bright areas, and produces clear images under high-contrast lighting conditions. The high-resolution camera with Day/Night ICR function allows you to switch between color and B&W as per changes in ambient lighting, ensuring accurate color reproduction in daylight and enhanced B&W images at night. With SSNR3 filtering noise reduction technology, the camera offers color images in dimly-lit areas with reduced noise in the picture, and helps saving storage space. The Samsung SNV-5080 has many exciting features for users of all types. 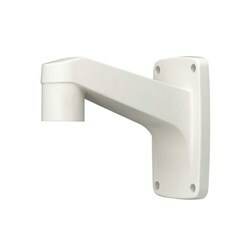 FactoryOutletStore stocks a full line of accessories like Wall Mount Bracket for the Samsung SNV-5080. The Samsung SNV-5080 is sold as a Brand New Unopened Item.